Fairy Tail 260 see’s the ultimate weapon revealed by Makarov as Lumen Histoire which contains the body of Mavis Vermillion! All while Igneel battles Acnologia and talks a little. 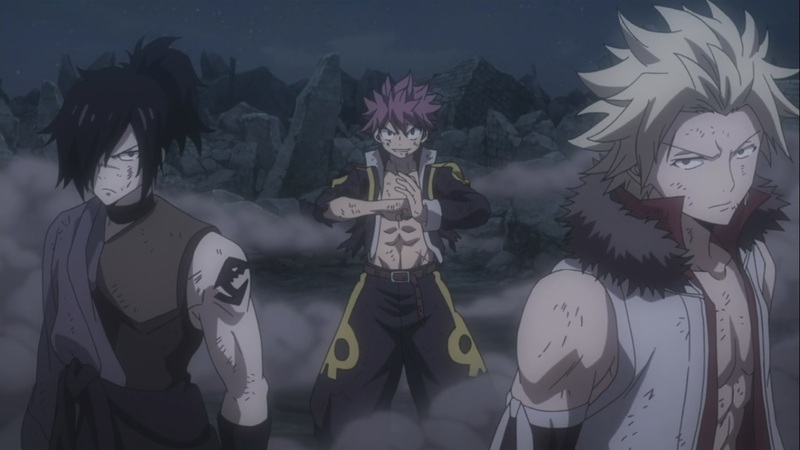 Natsu, Sting and Rogue all team up to battle up against Mard Geer who gets angry and powers up against them. 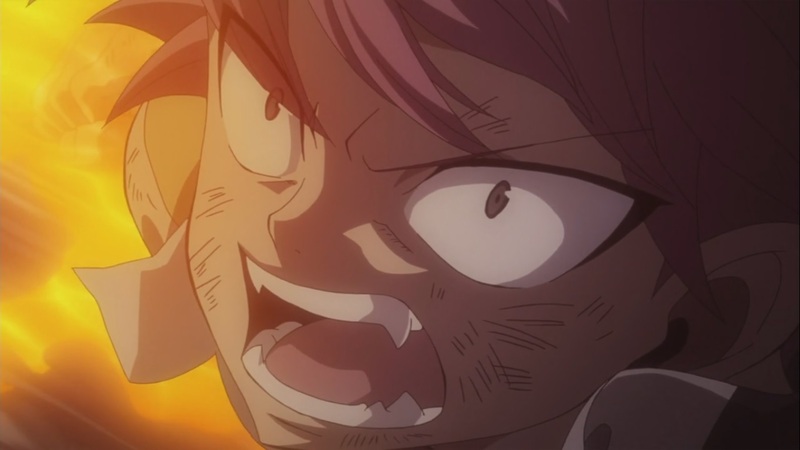 Fairy Tail 260 begins as both Natsu and Igneel both get fired up. Natsu gets ready and tries to attack but Mard stops him. Although Natsu tries to attack but falls down the ground when Sting and Rogue appear. 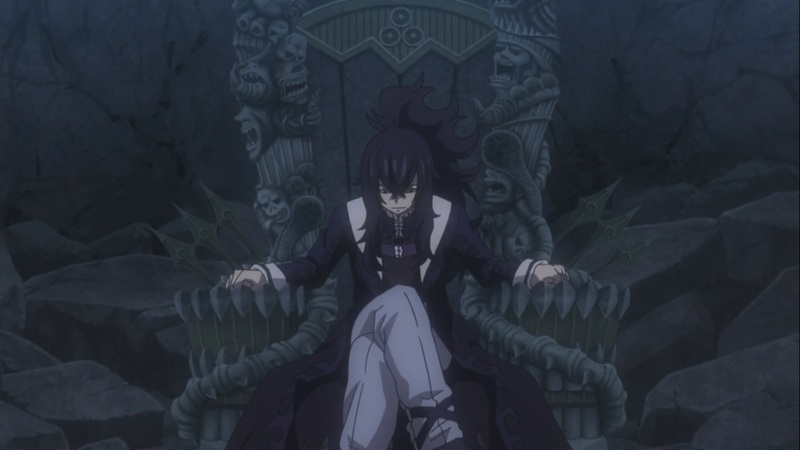 All while Acnologia and Igneel talk, as Acnologia tells him that he will definitely kill him. Sting and Rogue help Natsu out, they mention that they would like to help him out, but he deny’s it when Rogue tells him the first to defeat Mard will win. Natsu attacks, Sting and Rogue follow up when they actually get good hits on him. However, he gets up again and mentions that forgot the feeling of anger as he finally gets series. Igneel and Acnologia keep on fighting as they keep on talking, trying to defeat each other. Wendy and others notice the fight as they get closer and closer to the battlefield where everyone is. Elfman and others go on ahead to try and defeat all the stupid and annoying Lamy clones. Lucy and others talk about how they should help out Laxus and Juvia as they should take them to their medic. Somehow we see Erza vs Kyoka to see that there is around 20 minutes left. All while the others try and defeat Lamy. Lucy shows up to tell the others that Gajeel and Levy are talking Juvia and Laxus to the medic, Porlyusica. Gray also gets closer to another battle, it seems that something big will happen as Lucy tells them Igneel is the red dragon. Even Wendy shows up to tell them that they need to contact everyone about the thousands of Face weapon. 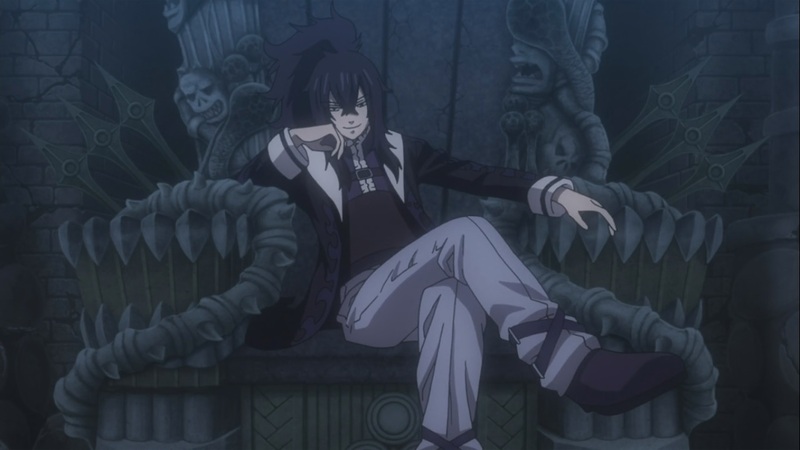 Levy mentions that Gajeel needs to do something for her, thus he begins to sing for her, about how she saved him. Mard Geer sets END down on a rock when he goes on to bring down his chair, he powers up and unleashes his thorns when everyone gets hurt. 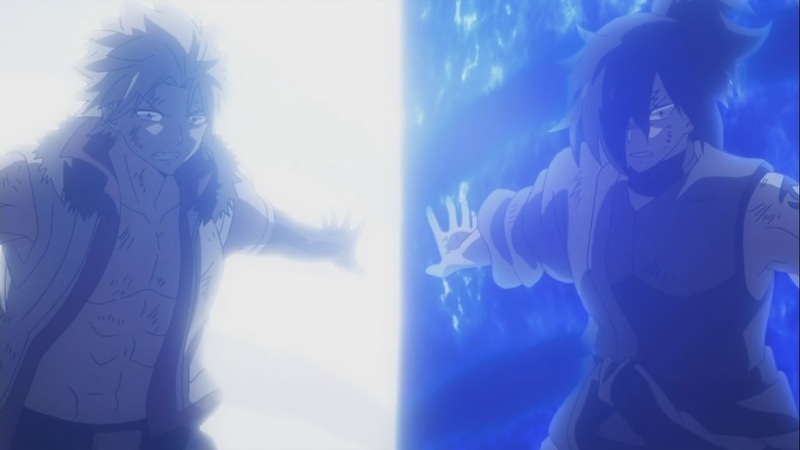 But Natsu uses them to get closer to Mard to attack him, but it doesn’t work. Sting and Rogue power up their Light and Dark attack when it doesn’t work at all. 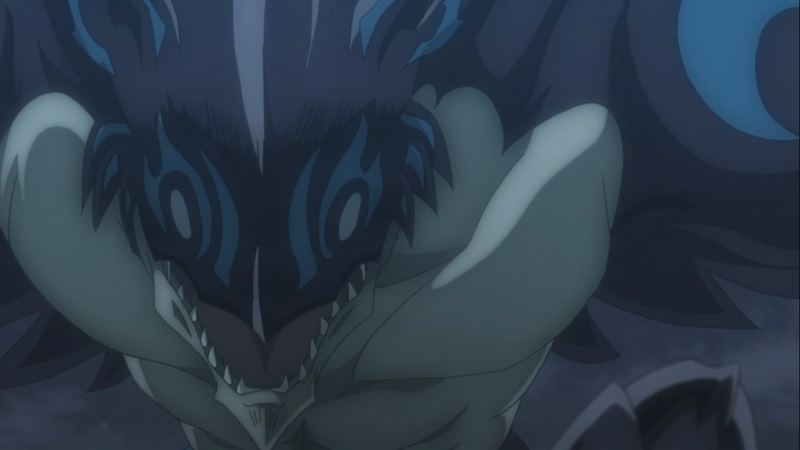 Mard Geer just nulls the attack, even Natsu’s powerful attack doesn’t work. Mard is being disappointed here. 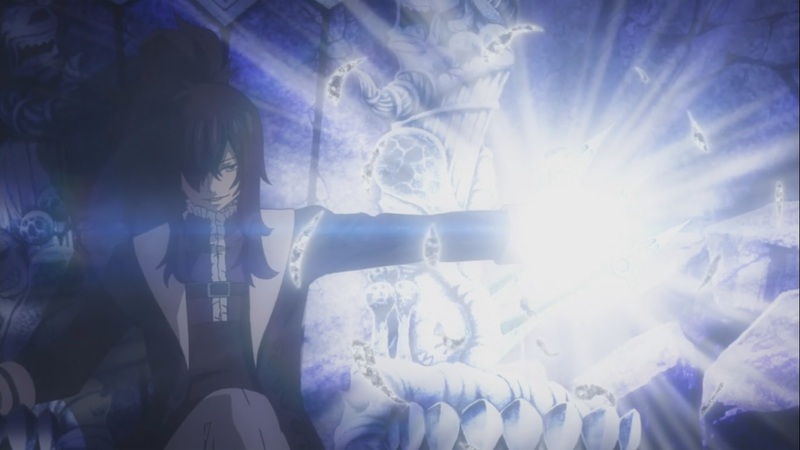 We see Warren and others talk about what they should do, but his power only has a 5km radius, this is when Makarov talks to them mentioning that he has Fairy Tail’s ultimate weapon, Lumen Histoire, which is a crystal with Mavis’ body inside it. A pretty awesome episode, the ending was quite surprising as we see Lumen Histoire, one of the secret Fairy weapons. 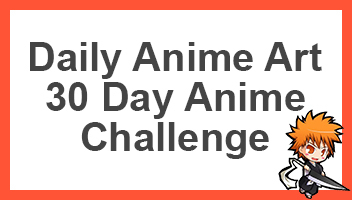 All while Natsu fights Mard and Igneel battles Acnologia. Next week’s Fairy Tail 261, titled “Absolute Demon”, see’s Mard battle on, when even more awesomeness happens, and even Gray appears.